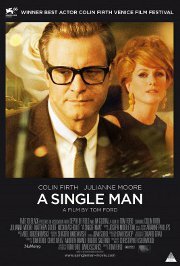 Colin Firth delivers a powerful performance in this study of a gay man coming to terms with the death of his lover. Several months after the death, he is still griefstricken and sees no point in living. His close female friend is desperate for a relationship with him, as is one of his students, but his mind is focused on ending everything to gain eternal peace.